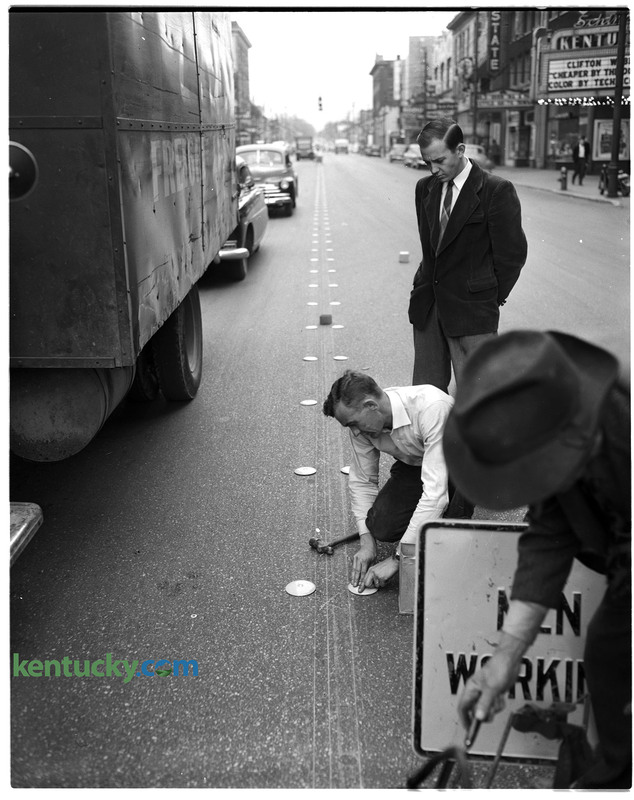 State Highway Department employees marked the center of downtown Lexington’s Main Street, April 1950. The double row of yellow plastic discs ran down the two-way road from the railroad tracks at Midland Avenue to Jefferson Street. Main Street became one way in 1971. The marquees for the State Theatre and the Kentucky Theater can be seen in the background. 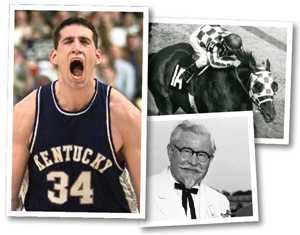 “Cheaper by the Dozen” was showing at the Kentucky. Published on April 28, 1950, in the Lexington Herald.